There has been a bit of a lack of activity on my part recently, partly due to moving house, work and I’ve started writing a book (which is something I’ve always wanted to do but, as you can imagine, time consuming). Has anyone else noticed that a lot of Highland Park IB’s have started coming out? Either under ‘mystery Orkney’ or under the official name. Lots of good deals too, fair prices compared to the expensive OB single casks. This one was bottled by Berry Bros with a labelling mistake! Which is always funny to see. The label says that it is 14yo but in fact it is 16yo. Nose: Lovely meaty Sherry, honey, malt and golden raisin, very Macallan-like if it weren't for the heathery smoke in the background. An Unami note like salami or gammon, slightly Ledaig-like salted cheese. Herbal notes too. Quite complex. Fantastic nose. Water: Equally great but softer, more chocolatey. 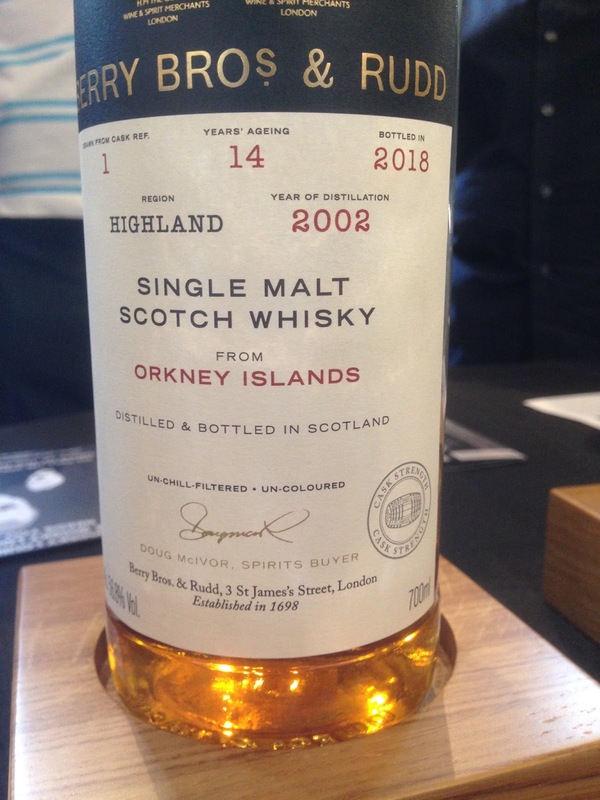 Taste: Soft sweetness then intense, great Sherry cask, raisin, honey, golden raisin, heather then very earthy, some green apple, working in the garden, lots of chocolate. Water: Dry, honey, more floral, more spice and oak here. Ginger and some pepper. Finish: Long length. Lots more oak, dry, lots of chocolate, heather. A little too oaky to taste but a brilliant nose. Better neat. Almost Ledaiggian in style with the funky Sherry and light smoke. Which in my book makes it great! Oh and almost forgot, the price was really good too. Sadly all sold out now I think.